For a long time, i’ve been recommending the Trifield 100XE because it was one of my absolute favorite EMF meters. Not only is it simple to use and quality made, but it measures all three types of EMF radiation: magnetic, electric, and radio frequency. I recently acquired Trifield’s new, digital screen, version of the Meter, the TF2. I wanted to do a full and complete review of the Trifield TF2 so you could have a clearer understanding of how the meter works, and if it’s the right one for you. Now, there are cheaper meters on the market, in fact one that I absolutely love is the Meterk (see my review), however if you’re looking for an absolute quality EMF meter, that is simple to use and provides all the information you could ever need, the Trifield TF2 is my top recommendation. Now let’s talk a bit about why. New backlight option allows you to use the meter in low light unlike previous Trifield 100XE version. 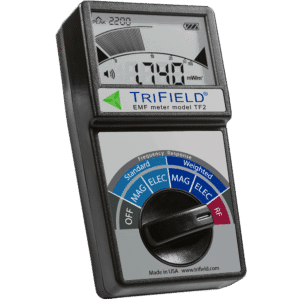 What Can You Measure With The Trifield TF2 EMF Meter? Start by holding the meter in your hand just as is shown in the image above. Its really important that you don’t block any of the EMF sensors that you see in the image with your hand, or any other object. 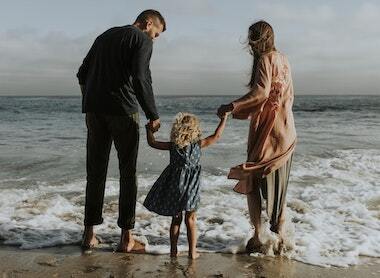 If you are measuring EMF radiation from any conductive body, like the human body, be sure to use the weighted version of the magnetic field or electric field sensor settings. What the weighted version does, is it applies a more sensitive reading to anything above 60 Hertz. For measuring anything else, be sure to select the standard measurement selection. If you are measuring radio frequency magnetic radiation from say, a cell tower, or your smart meter, turn the dial to the RF settings (radio frequency). To turn on the audio indicator, turn the EMF meter over, and slide off the battery cover. Then press the audio button to turn this feature on. To turn it off, simply press the button once more. To turn on the backlight, simply slide off the battery cover on the back of the EMF meter, and press the backlight button until you’ve reached the brightness level that suits you. To start off, the large number you see at the bottom is your field measurement. This is the number displaying the electromagnetic field being measured. The units of measurement will change depending on what you are measuring. If you are measuring AC magnetic fields, it will be in the common milliGauss (mG) measurement. If you are measuring electric fields, it will be in Volts per meter (V/m). If you are measuring radio frequency or microwave radiation, it will be in milliWatts per square meter (mW/m²). The Field percentage indicator you can see on the image gives a percentage of the maximum range for whatever type of EMF you are measuring. There are marks for 0, 10, 20, 50, and 100 on the LCD to give you an indication of how dramatic your reading is. The peak indicator in the top left of the display shows you the maximum amount of EMF radiation that has been measured within the last 3 seconds, in order to help you catch and determine quick spikes. This can be very beneficial when measuring something like a smart meter. Often times smart meters emit their largest amount of radiation in very quick bursts when communicating information, and this was hard to capture with the previous trifield meter that used a needle based display. The peak percentage indicator works just like the field percentage indicator, and shows the maximum measurement on an arc display on the screen. The top right is the battery power indicator, when it reaches one bar it is time to replace the batteries. Note: the manufacturer says to give the meter approximately 1.5 seconds when you turn it on, or switch modes, for the displayed reading to stabilize a bit. 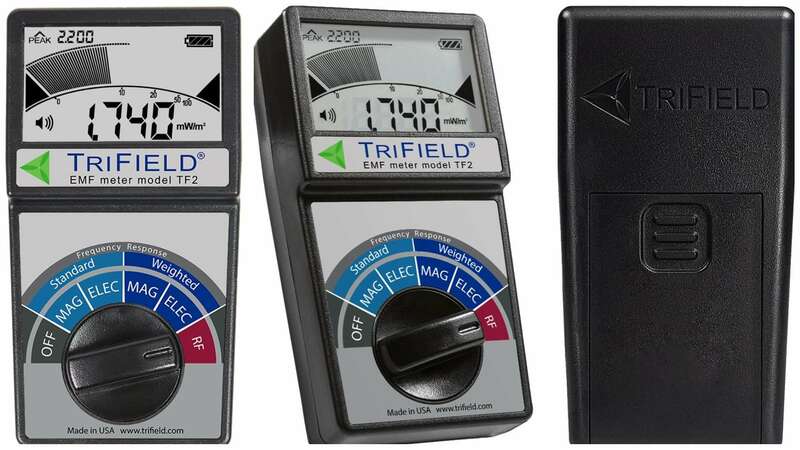 Before the Trifield TF2 came out, I often recommended the Trifield 100XE in my articles because it was the meter I found myself using most often, and I truly believed it to be one of the best, and simplest EMF meters on the market. The 100XE measured magnetic field radiation that many EMF meters did not, was a mid-range priced EMF meter that I found quite accurate, very simple to operate, and seemed to last a very long time. When the TF2 came out, I was worried that they may have sacrificed some of these points in place of flashier upgrades. Luckily I was happily surprised with the quality, build, and functionality of their new EMF meter. The first thing that I like better about the TF2, is the digital LCD display. Since it gives both a current reading, and a peak reading, it is much simpler to understand how much radiation is being emitted in a visually simple way. Next, I like that they increased the sensitivity of the radio frequency field sensor by 1,000 times. The TF2 can also measure twice as broad of frequency ranges for radio frequency radiation. The 100XE measured up to 3 Ghz, and the TF2 now measures up to 6 Ghz. The Display – I really like the display of the TF2. Although I had gotten very used to the needle based display of the 100XE, I think having a digital display capable of lighting up allows for quicker, and more accurate readings, as well as letting you work in low light environments. The Price – The TF2 is very competitively priced, and I personally think it is very reasonable for the quality of construction and features that you get with it. User Friendly – Whether you are an expert on EMF radiation (perhaps you’ve read all the content on EMF Academy 🙂 ), or you’re just starting out, the Trifield works well for both. Trifield meters have long been popular because they are very simple to operate, making them great for beginners, but also have the accuracy and functionality that professionals are looking for. I personally think with the added LCD display, and “peak” indicator, the TF2 is an even easier unit to operate. Audio – One of my absolute favorite additions of the Trifield TF2 is the audio output. Although if you’re trying to determine actual EMF radiation levels of certain things, you will want the field indicator, if you are just trying to move around your home and locate EMF radiation sources, the audio is fantastic. Using the audio, you don’t even need to look at the display. Also, since the TF2 is a tri-axis EMF meter, directionality doesn’t matter for the display, or for the audio output. Measures All EMFs – This was one of the main reasons I recommended the Trifield 100XE in the past, because it measured magnetic, electric, and radio frequency radiation, when some other meters did not. If you care about EMF radiation in your home, you need to be able to measure all types of radiation. Audio And Backlight Buttons – I personally found it really odd that these buttons are found on the back of the unit, underneath the battery cover. I understand they were trying to maintain the general look and feel of the previous Trifield 100XE, but if you’re going to take the time to redesign a better device, keep the usability tight. Weighted Mode – I understand the concept behind the weighted mode, and it does give some increased functionality to the device that many professionals or experienced individuals will find helpful, however for your average user having two modes is likely a bit confusing. 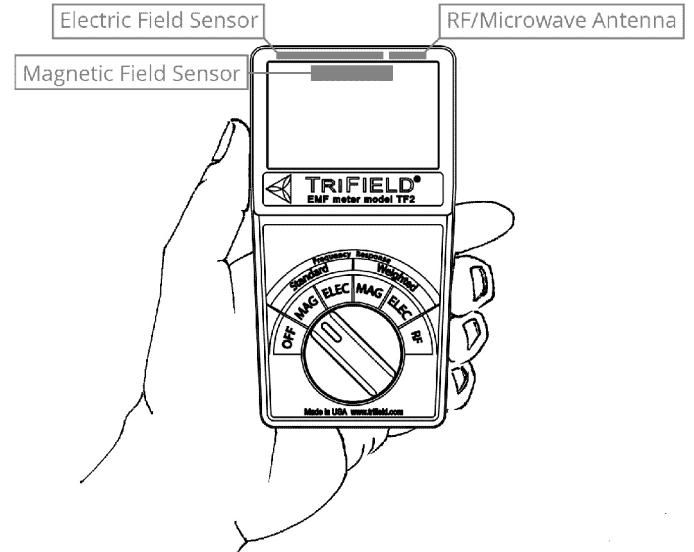 Where Can You Buy The Trifield TF2 EMF Meter? The best place to get the Trifield TF2 is on Amazon, you can read through all of the reviews (although at the time of this writing, the product is relatively new). As well as take a look at the user manual and the rest of the features. 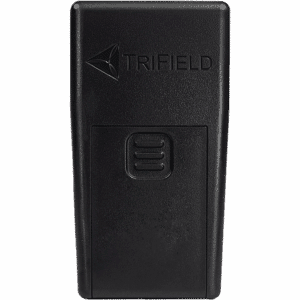 I have used the Trifield 100XE for many years, and I think it was one of the best EMF meters on the market. 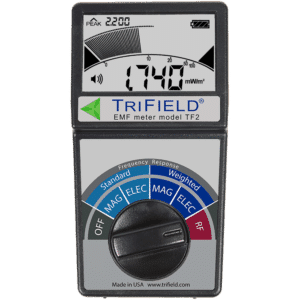 I’ve now been using the Trifield TF2 in it’s place for a few weeks and I can honestly say that I think it is just a better, simpler version of the same quality EMF meter they had before. I’m glad they finally made some of the additions that they did, like increasing the measurement frequency range, adding a backlight, and making a digital display. Ultimately I still think Trifield makes some of the absolute best EMF meters on the market, and the TF2 is no different. I hope you enjoyed my review of the Trifield TF2, if you did, please consider sharing! I created and currently manage EMF Academy, one of the premier sources for EMF safety knowledge. I am so passionate about spreading this crucial information. If you need anything, just shoot me an email at [email protected] and I'll do everything I can to help. And this is my family. For the past 6 years or so I’ve put a lot of time into researching EMF Radiation and why it’s so dangerous. I wanted to do what I could to protect myself and my family from this danger. This blog started as a simple way for me to share what I learned with the world. Now it is one of the largest and most trusted sources to learn about EMF radiation. EMF Academy is a participant in the Amazon Services LLC Associates Program, an affiliate advertising program designed to provide a means for sites to earn advertising fees by advertising and linking to Amazon.com. EMF Academy also participates in affiliate programs with Clickbank, ShareASale, and other sites. EMF Academy is compensated for referring traffic and business to these companies. @2019 - emfacademy.com. All Right Reserved. Want A Free EMF Meter? 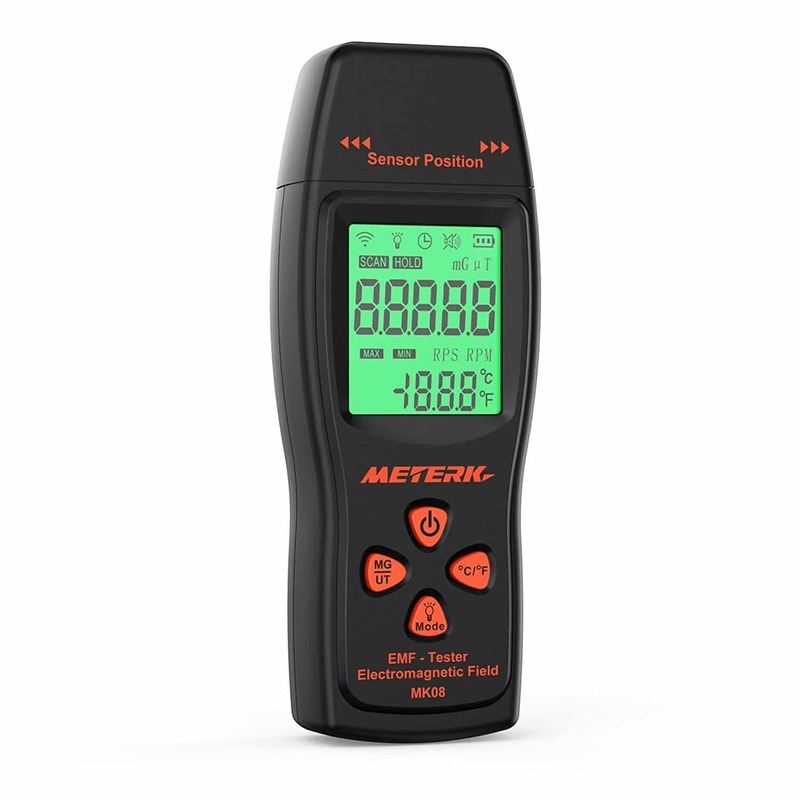 Enter your email for a chance to win one of the 10 Meterk EMF Meters I'll be giving away May 2nd, 2019. Visit this page for more details. You'll also get my Top 10 EMF Protection Tips and be signed up for the exclusive EMF Academy Newsletter! We hate spam as much as you. Your email address is 100% safe and secure.